2 PAIRS MARKS & SPENCER SHORTS. BRIGHT PINK & NAVY MIX. AGE 3-4 YEARS. 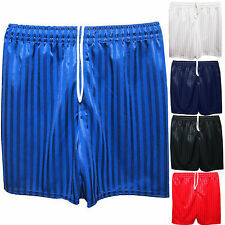 NWT Gymboree Girls Everyday Favorites Knit Shorts Pick Size and Color! 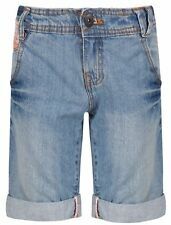 The shorts are a stone washed blue with two pockets on the front. Wash with similar colour and inside out. Two pocket are also on the rear of the shorts. Wash before first use. Stripey Bike Shorts. Moms appreciate the high quality 100% cotton that washes easy and continues to look great. Girls appreciate the easy fit, comfortable elastic waist and smooth flatlock seams, along with the freedom they get to just be a girl. Moms appreciate the high quality 90% cotton / 10% spandex blend that washes easy and continues to look great. Girls appreciate the easy fit and comfortable elastic waist, along with the freedom they get to just be a girl. SIZE is 14. Color is Teal Green, Magenta Purple and Orange. Material is 87% Polyester, 13% Spandex. Floral design. 4-way stretch. ORANGE w/ CHERRIES BIKE SHORTS. CHERRY BABY. SAVE - SAVE - SAVE - SAVE - SAVE. COMBINE & SAVE! Applies to all 50 U.S. states and territories . Adorable shorts from the Gap. We outgrew before we could wear them. My loss your gain. Brand new with tags. Color: Weathered Indigo. Floral embroidered design on back pockets and on front sides. Body: 55% Ramie, 43% Cotton, 2% Elastane; Pocket Lining: 80% Polyester, 20% Cotton. Bermuda length. Kids/Girls Size 12 Regular. Light heather gray with fun slogan print all over with black and gold glitter print. OMG stars and more. Very Cute! Perfect for a gift. 5 yrs 42-45 41-46 22 17 ¾ 21. 18-24 mos 31-33 27-30 19 ¾ 11 ¾ 19 ½.